Research in the Klevit group is directed towards an understanding of molecular recognition, with an emphasis on protein-protein interactions that play important roles in human disease. We use a variety of structural, biochemical, molecular biological, and biophysical techniques, with a major emphasis on high resolution NMR spectroscopy and mass spectrometry. Furthermore, we collaborate with colleagues focused on functional aspects of the systems we study. Ongoing projects in the group include the following systems: BRCA1, the breast cancer susceptibility protein; protein ubiquitination in general; human small heat shock proteins alpha-B crystallin and HSP27; and PhoQ, a virulence factor in pathogenic bacteria. 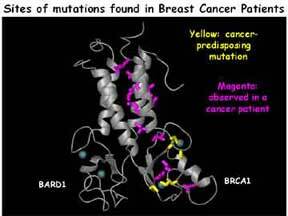 BRCA1 is a large multi-functional protein that is implicated in inherited forms of breast cancer. Our current studies are focused on the N-terminal “RING-finger” domain of BRCA1, where many inherited missense mutations are found. This region acts as a ubiquitin ligase (E3) in complex with another RING protein, BARD1. 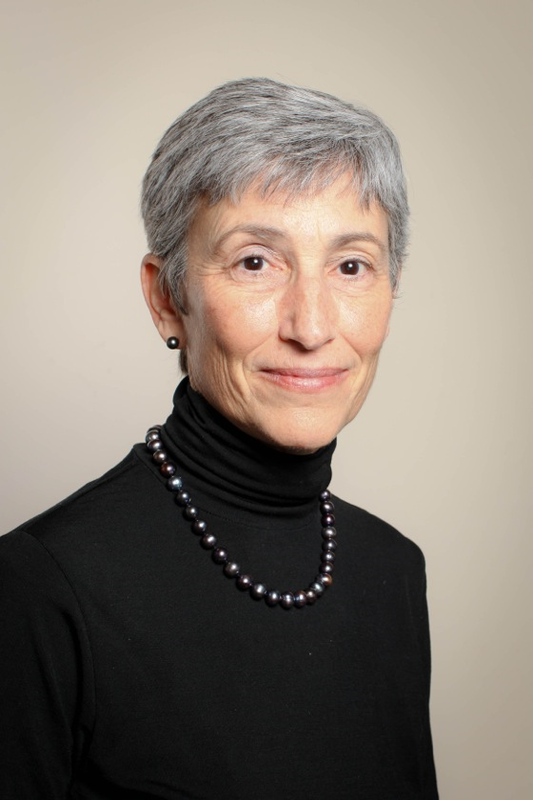 Projects involve specific structure/function questions regarding BRCA1 and BARD1, developing novel strategies for discovering BRCA1 substrates, and more general mechanistic questions about ubiquitin transfer reactions. αB-Crystallin (αB) and HSP27 belong to the class of small Heat Shock Proteins (sHSPs) whose levels of expression increase under conditions of cellular stress, viz., heat, pH, and ischemia. sHSPs form an integral part of the cellular chaperone network by maintaining aggregation-prone proteins in a soluble state. Due to their tendency to form large oligomeric structures, human small heat shock factors have been refractory to structural studies. We are using a combination of solution-state and solid-state NMR approaches to define the structures of dimeric constructs and of large oligomers. Although the full extent of the functions of αB-Crystallin (αB) and HSP27 remain to be determined, the proteins are each implicated in certain inherited forms of dystrophies and αB is also implicated in breast and other forms of cancer. The PhoQ/PhoP two-component regulatory system plays a critical role in bacterial virulence. PhoQ is a sensor kinase that is capable of sensing the environment in which the bacterium is found and either represses or activates genes that are key to the bacteria’s ability to infect its host. In a collaborative project with Prof. Samuel Miller (Dept. of Microbiology), we are using NMR to determine the structural strategies employed by PhoQ to detect and respond to environmental signals such as divalent cation concentrations, pH, and innate host antimicrobial peptides.